Ladies and Gentleman, here’s my worst ‘before’ OF ALL TIME! I mean, seriously. What is that? Two slabs of mystery meat? I’m sorry you had to see this. LOOK AWAY! It’s hideous. Okay… don’t look away just quite yet. You’ll be glad I put your eyes through torture so your mouth could rejoice with gladness! 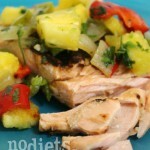 This juicy salmon topped with even MORE juiciness from the salsa will be a kick for dinner. If you have hungry little fingers roaming your kitchen before the salmon is ready, just double the salsa recipe and let them enjoy some chips and salsa as little appetizer. In small bowl, combine honey, oil, vinegar, salt, pepper, and garlic. Place salmon in shallow baking dish and pour mixture over. Refrigerate and marinate for at least 15 minutes. In a small pan, saute onions, bell pepper, and 1 tsp vinegar for about 3 to 4 minutes until onions are translucent. Transfer onion mixture to a medium-sized bowl and combine with remaining 1 tsp vinegar, pineapple, cilantro, and jalapeno. Mix well and refrigerate. Preheat grill to medium heat. Lightly spray grill with olive oil cooking spray to prevent the fillet from sticking. Grill each fillet for about 3 to 4 minutes on each side or until fish easily flakes and light pink on the inside. Serve with salsa on top! 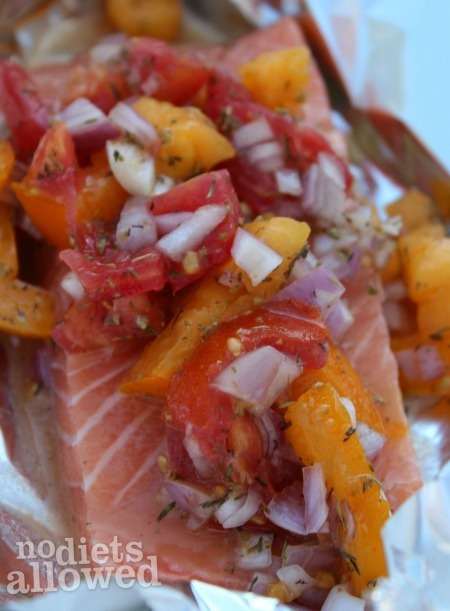 If you prefer to bake your salmon, preheat oven to 350 F and bake for 20 minutes. 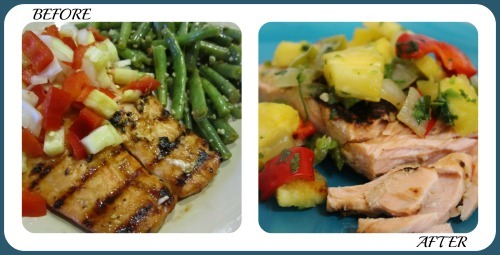 Recipe idea adapted from AHA Healthy Family Meals. 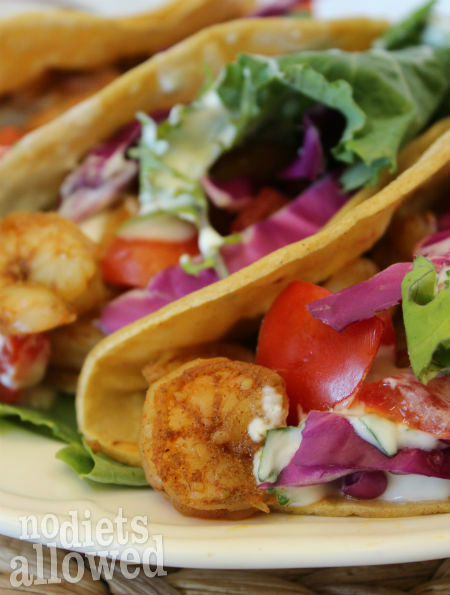 Need some other tasty seafood dinner recipes? Check these out. Oh my gosh- your before picture isn’t even that bad!! Ha ha! I had one that looked like a weird fetus (it was chicken that had been cooked in a crock pot)! Anyway, your food and pics always look amazing. 🙂 Keep it up! Bahahah! Thanks, Camille. I would love to see the ‘weird fetus chicken’ picture someday.